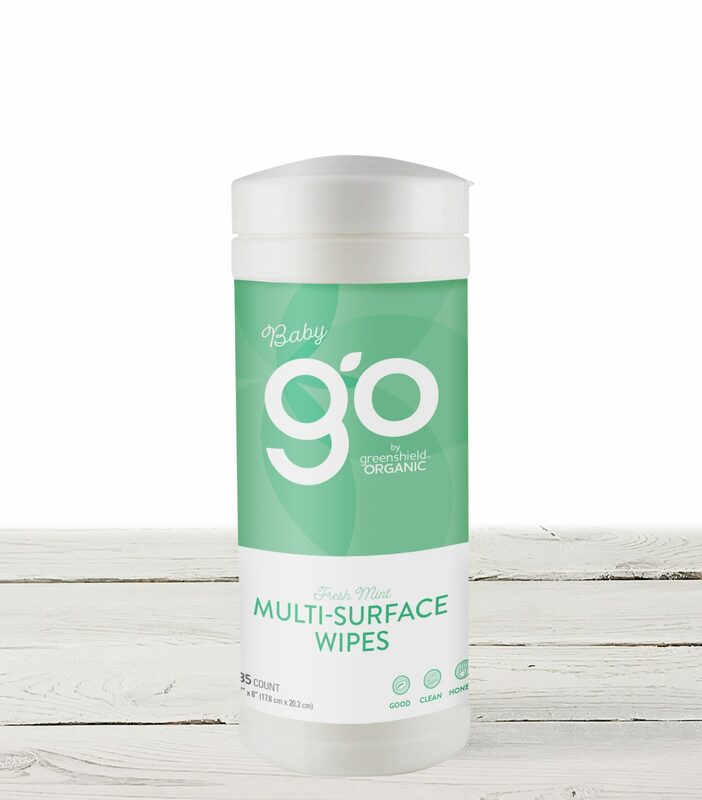 Baby Multi-Surface Wipes in Fresh Mint are formulated with safety, performance and baby’s health in mind. Reduce cleaning time with grab n’ go disposable wipes to tackle the toughest baby messes. Use them on everything from high-chairs to changing tables, leaving behind nothing but a fresh mint scent. Wipe surface clean. Let air dry. Recommended for: stainless steal, sealed and ceramic tile countertops, painted or plastic objects and surfaces. Not for cleaning or sanitizing skin. Do not use as a diaper wipe or for personal cleaning. 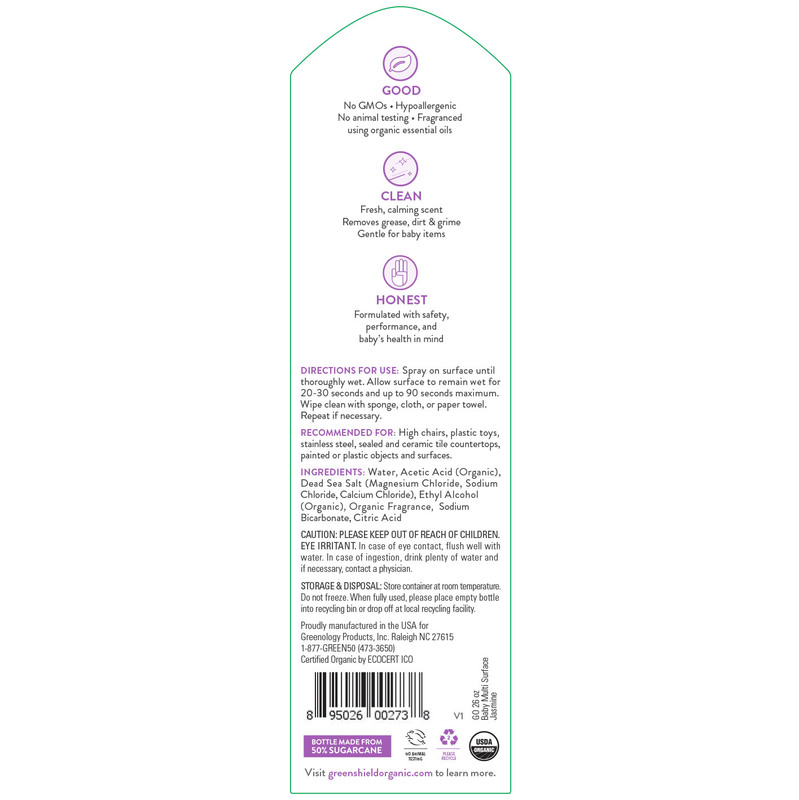 Liquid cleaning portion is comprised of organic ingredients. Wipe material is wood pulp based, not organic.